We have no national aging policy. Medicare and Social Security provide a critical foundation, but are politically vulnerable and long overdue for an upgrade. More importantly, the vast array of supports and opportunities that need to go along with a rapidly aging population – from long term care and housing to new technology – are going completely unattended. The national silence about the demands of our aging population is deafening. For at least 50 years now, we have recognized the demographic and economic imperative of the aging of the baby boom. 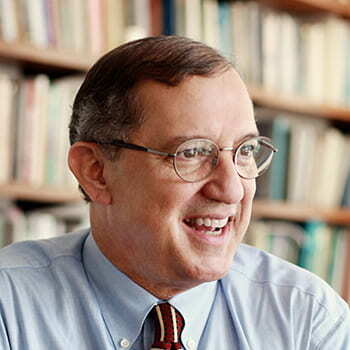 There have been occasional spurts of policymaking or analysis: the Pepper Commission of 1988, the Social Security amendments and Medicare reforms of the 1980s, and the inclusion of the CLASS provisions (later repealed) in the Affordable Care Act stand out as moments of significant policy attention and effort for an aging population. This demographic transformation has been referred to as a “Tsunami,” “ the Pig in the Python,” and a “Social Avalanche,” yet it has received little attention in recent Administrations and the Congress. The last White House Conference on Aging was tepid in its agenda and impact. Congressional authorities such as the Senate Select Committee on Aging have mostly tackled important, but relatively safe and feel-good problems like elder abuse and financial literacy for seniors. Since the Affordable Care Act, the sole attention that national aging policy has garnered has been in the context of reducing “entitlements” in Social Security, Medicare, and Medicaid. Budget analysts and administrative leaders like Mick Mulvaney recognize that big money and future responsibilities are embedded in these programs, and they have made these programs priority targets for fiscal policy. The recent efforts to massively reduce Medicaid spending in the House and Senate health bills was inevitably about reduced nursing home spending in states. These calls for entitlement reform bring no vision for a progressive aging policy or response to the modern demands of an aging population. Instead they are solely about long-term and ideological questions about the size and scope of the public sector, seeking ways to limit future federal outlays, and providing breathing room for tax cuts. Unfortunately, we also have no home – politically or administratively – for vigorous advocacy about national aging policy. Nowhere was this more apparent than in the presidential campaign, where there was virtually no discussion of national aging policy from either party. The major aging organizations – e.g., AARP, NCOA – have kept a relatively low policy profile on national aging policy writ large, though they have been reactive to the House, Senate, and Administration’s health care bills. In the federal government, the resources and capacity for national aging policy is pathetic. The Administration on Aging was subsumed into a new agency, the Community Living Administration, in 2013. It simply does not have the resources, bureaucratic heft, or visibility to significantly affect national aging policy. The need and arguments for a coherent national aging policy have grown and grown. On the one hand, the “epidemiology” of old age has changed dramatically since the architecture and elements of Social Security, Medicare, and other aging programs were created. We have jaw dropping examples of the capabilities and plasticity of old age – e.g., ironman triathletes over age 80; centenarians in major corporate leadership positions. None of this reality of the new aging is reflected in recent policy hearings or proposals. On the other hand, aging policy has to recognize the realities of dramatically increasing chronic conditions and diseases of the mind, including Alzheimer’s. Mostly, policy and programs for an aging population are under attack from fiscal conservatives that are trying to reign in “entitlements.” These agendas played out in the House and Senate health reform proposals, the Administration’s budget proposals, and the longer-term push to change Social Security and Medicare. The policy challenge to so many aging programs is orthogonal, not necessarily about the programs themselves, but in service to a different agenda – to reduce the size of government, produce tax cuts, and as Jacob Hacker has demonstrated, shift risk to individuals and families. [i] Especially lost in this current preoccupation with entitlement reform is concern for the most vulnerable older persons – poor, chronically ill, or socially isolated. Productive Aging Healthy/successful/productive aging should become the fundamental framework for national policy. This has so many practical implications, from the creation of new roles for older persons, to the design of health care and to research. Chronic Care Health reform, particularly Medicare, should adopt a chronic care not acute care emphasis in funding, reimbursement, and delivery system reform. This is increasingly important with the growth of diabetes, cognitive impairments, pain, and other chronic conditions. Long Term Care Long term care services and supports require national policy change. In the aftermath of the repeal of the CLASS Act, we have a need for significant financing, caregiving, workforce, and delivery system reform. Retirement Income Social Security, pensions and other sources of retirement income security need profound policy attention. Most families have little or no retirement savings. The median savings for all families is only $5000. The policy assumption of a three-legged stool – Social Security, pensions, and savings – is not realistic for most families. Many states, municipalities, and companies do not have the wherewithal to meet their pension obligations. Hard policy choices are being deferred. Technology Investment in technology for an aging population should be a national priority. Robotics, sensors, smart homes, medical assist devices, and communications have huge potential to improve quality of life and generate economic development. Workforce The national workforce needs substantial retooling in light of population aging. Our demographic and economic changes are creating both new demands for labor such as caregiving, as well as new dislocations such as the unemployment of late middle-aged workers. A proper response to the aging of the population connects to immigration policy and training, as well the broader structural changes occurring in the labor market, such as the decline of manufacturing jobs. Institutions New institutions must be created for an aging society, particularly at the community level. How do we convert retirement practices, churches, educational institutions, as well as volunteer and civic opportunities to respond to the vast population and human capital that is cresting? Built Environment The built environment – urban design and suburban and rural infrastructure, including transportation and physical investment in housing and streetscapes, is crucial to the adaptation to an aging population. Exciting ideas abound in the planning literature, but without a corollary in public policy. While we typically think of infrastructure as bridges and highways, the life success of the aging population will require substantial investment in everything from parks, to well-maintained and appropriate housing, to accessible public buildings. Geographical Variation National policy must evolve to geo-target resources and strategies for population aging. The geography of aging is so different – from communities, to states, to regions – yet we have not adapted to these demographic distributions. We need to tailor and target public policy to the realities of aging in Washington County, Maine, versus Dade County, Florida. International Leverage The United States actually lags behind many other countries in its demographic transition. There is so much to be learned and so much potential for “technology transfer” from the experiences of other countries and cultures. Japan has created remarkable long term care services approaches; Scandinavian countries have exploited technology for personal assistance; Great Britain has developed impressive community care; and China and other Asian countries have benefited greatly from intensive family systems of support and caregiving. There is so much potential in applying these lessons. The Catch-22 in National Aging Policy is that we lack the policy advocacy, institutions, and visibility to make this a top-tier priority. Because there is little wellspring of agitation, analysis, and clout, there is no feedback mechanism for federal policy and reinforcement of national organizations. In realpolitik terms, the absence of substantial money behind aging policy keeps it from becoming a priority in campaigns and the Washington agenda. It is important that population aging be redefined as a technology- and economically-important priority. The more that aging of the population is understood to be a significant economic engine – alongside energy and technology – the more it will begin to command attention as a worthy object of policy and investment. Population aging constitutes an economic, societal, and political transformation every bit as important as energy, climate change, national security, and health care. Why do we not have a federal Department of Aging, just as we have a Federal Department of Education; Housing and Urban Development; or Energy? Instead, we have relegated population aging to a subsidiary of an agency (buried in HHS) of Community Living. Aging could not be more irrelevant in the federal hierarchy and bureaucracy. White House Conferences and Senate Special Committees do not cut it. Unfortunately, AARP, NCOA, and the other membership groups do not cut it. The demographic, economic, and societal transformation that is underway is humongous – but it has virtually no voice, analytic sophistication, or national political visibility. In the current environment of Twitter, administrative chaos, ideological divide, and Congressional dysfunction, a long-term policy agenda to deal with population aging feels like a pipe dream. We avoid the agenda of population aging at our peril. We need a national aging policy. [i] See Jacob S. Hacker, The Great Risk Shift (New York: Oxford University Press, 2008), and Jacob Hacker and Paul Pierson, American Amnesia, New York: Simon & Schuster, 2016).